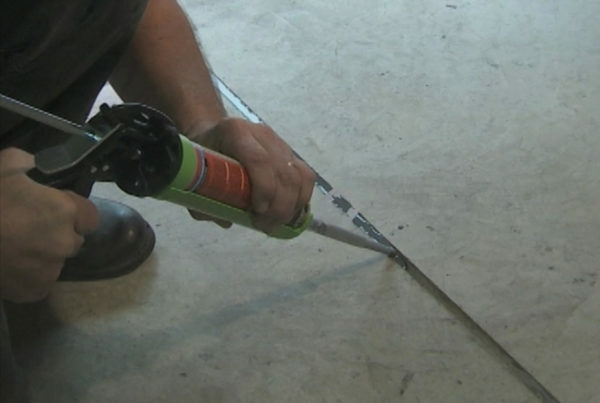 A fast curing two part liquid sealant for concrete and blacktop. 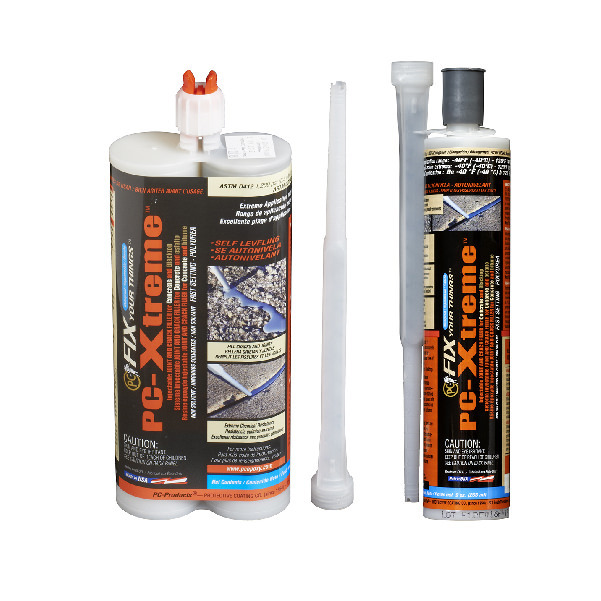 PC-Xtreme™ Polyurea Joint Filler is fast curing two part liquid sealant for Concrete and blacktop. It is primarily used to fill saw cuts used for stress relief in concrete floors. 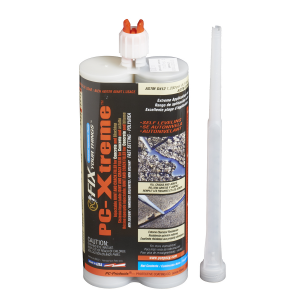 PC-Xtreme™ can also be used to fill cracks on horizontal surfaces. Its cures quickly in sub-freezing temperatures making it useful in extreme environmental conditions. Substrate and environment must be completely dry without any presence of moisture prior to usage. Blow out and remove all dust, dirt, debris, oil and any other contaminant from the control joint or crack. Use backer rod or kiln dried sand prior to application of adhesive. To fill cracks, use a saw or grinder with a dry diamond or concrete abrasive blade and cut along the crack opening it up to 3/16 in. to 1/4 in. wide. The edges must be a 90° angle to the surface to avoid a feathered edge. Heavy Duty Traffic Areas: The joint width should be a maximum of 3/4 in. (19 mm). The depth should be a minimum of 3 times the width, or 2.2 in. (57 mm). Light Foot Traffic Areas: The joint width should be a maximum of 3/4 in. (19 mm). The depth should be a minimum of 1/2 in. (13 mm). To repair a control joint, fill all spalls with PC-Masonry™ or PC-Concrete™ and allow to cure. Recut the control joint to remove all filler materials and to reshape the spall repairs. DO NOT use in Expansion Joints. Use for exterior and interior control joints or moving cracks. Concrete should be at least 28 days old, or at a minimum, all release agents must be removed and bonding surface must be dry. 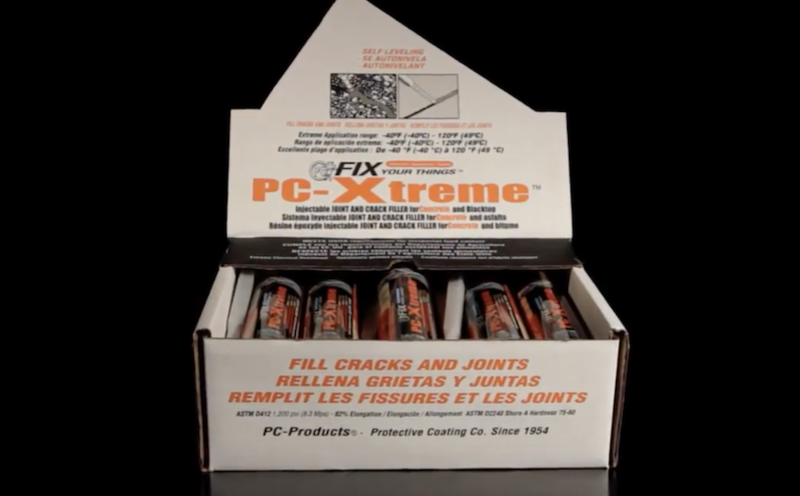 PC-Xtreme™ is not intended for joints subject to greater than 10 – 15% movement. Always wear appropriate protective equipment such as safety glasses and gloves during cleanup. Clean uncured materials from tools and equipment with mild solvents. Cured material can only be removed mechanically. Why does the cartridge need shaking before dispensing? PC-Xtreme™ is a liquid. Some settling may have occurred. Shaking for 60 seconds helps make sure that the product is homogeneous throughout the container. Is it necessary to over fill the control joint with PC-Xtreme™? Overfilling is not critical but it makes it possible to use an 8 inch wall scraper and shave the sealant flush to the surface. 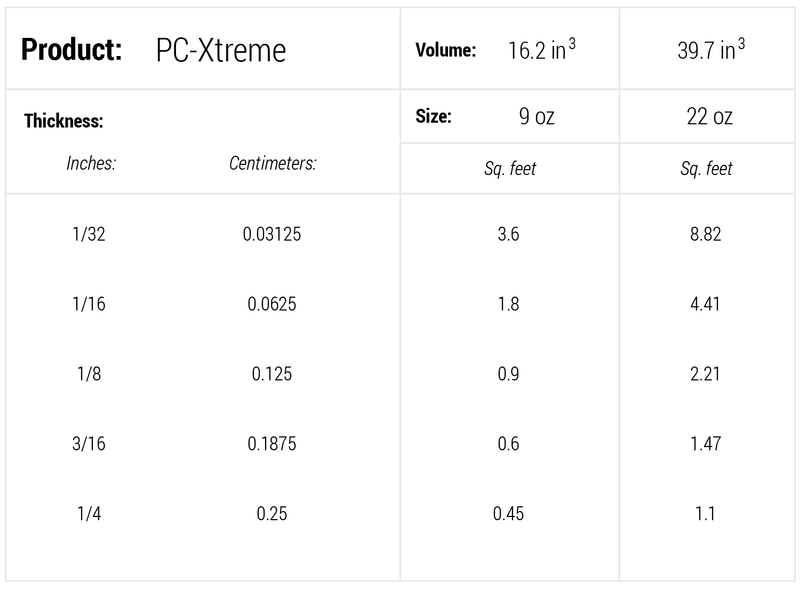 Is PC-Xtreme™ sold in colors other than gray? Gray is the only color available. Can PC-Xtreme™ be used without the mixing nozzle? It is not possible to use PC-Xtreme™ without the mixing nozzle. How soon can PC-Xtreme™ be driven over? Wait 90 minutes at 75°F before driving over PC-Xtreme™. No, it is a polyurea which is similar to polyurethane. 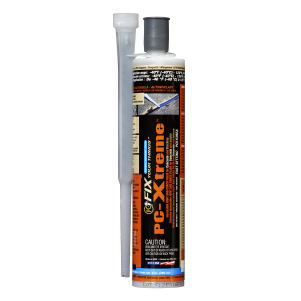 Can PC-Xtreme™ be reapplied where it traveled in or it was under filled? Yes, PC-Xtreme™ can be reapplied to low or under filled areas. Use a premium primer sealer that is resistant to solvents before applying the finish coat. Test the primer sealer and finish coat in a small area prior to large area. Allow 7 days to dry and check for compatibility. Air bubbles appeared after the PC-Xtreme™ cured. Allow more time after shaking for the cartridge to settle before dispensing. Streaks have appeared after the PC-Xtreme™ cured. The cartridge needs vigorous shaking before curing.